While in Charleston, I painted one of my favorite pineapples. 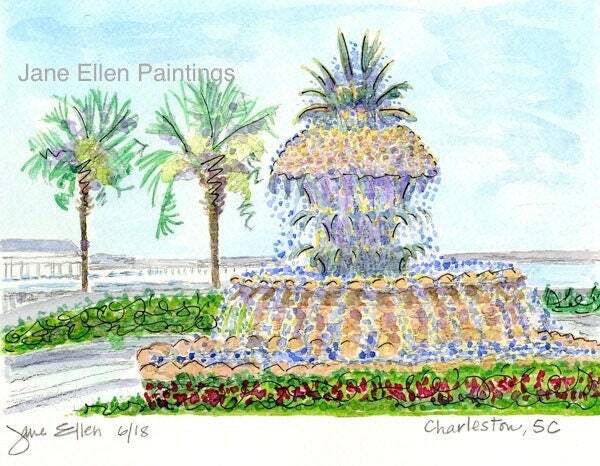 It is the pineapple fountain in Waterfront Park. Many tourists and children were happy as they walked by it, and played in the water that day. 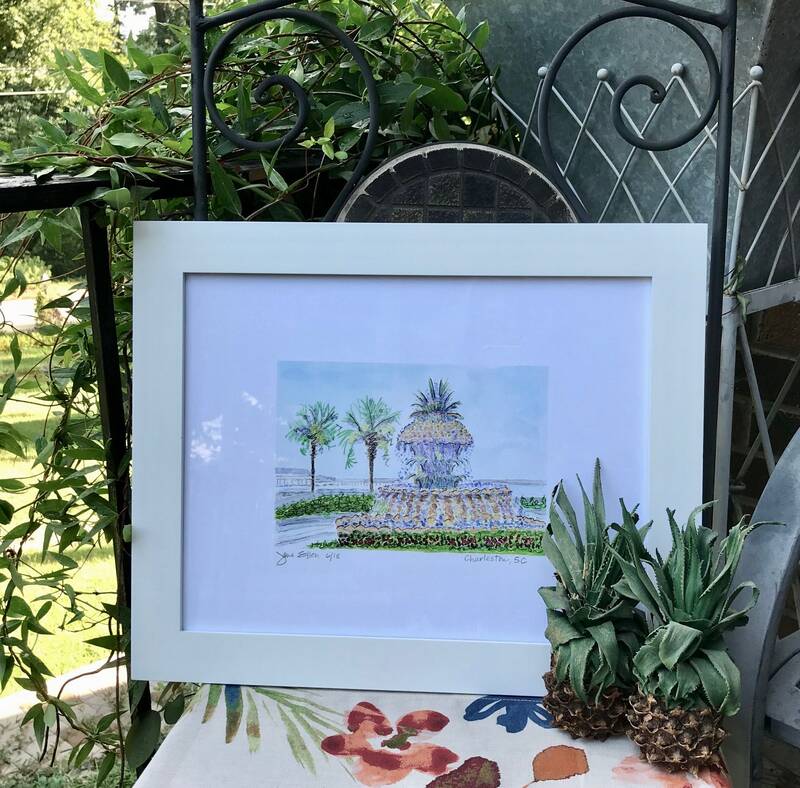 It is a professionally printed giclee. The image is 5.5 x 8 inches, on an 11 x 14 sheet of paper to fit in an 11 x 14 " frame.